Becoming a parent is an exciting time in anyone's life and a time which may also present some challenges. Ngala provides support for parents and carers to help them through this rewarding and fulfilling journey. Getting enough sleep during pregnancy will help you adjust to your changing body. Making sure you rest when needed will help you grow a healthy baby. ​​​​How much sleep do I need? Nutrition plays a very important role in pregnancy. Eating well throughout your pregnancy will assist in maintaining a healthy weight and delivering a happy, healthy baby. As your body changes with pregnancy, so do your relationships. Keeping communication flowing will help you enjoy this exciting and challenging time. As your pregnancy progresses your baby grows and develops at an exciting rate. Each trimester brings new challenges and experiences as your baby gets ready for birth. ​​​​Changing month by month "what's going on in there"
Staying fit and healthy throughout pregnancy will help you maintain your energy once your baby is born. Being healthy and strong also helps you manage interrupted sleep and fatigue, especially in the third trimester. Avoiding alcohol and other hazardous materials throughout your pregnancy will help you grow and deliver a healthy baby. Being aware of what foods and behaviours to avoid will help your pregnancy be more successful. Parenting a newborn baby is wonderful but can sometimes be overwhelming. Lack of sleep, learning to feed and care for your baby and helping siblings adjust can be challenging. Ngala is here to support you. Sleep for parents and babies - and comforting your baby - is one of the most common concerns for new parents. Helping your baby feel secure, comfortable and relaxed is one of the important roles for parents in the first days. Feeding your newborn baby can take time. Enjoy the bonding time that feeding brings. Both mother and baby are both learning new skills. Sometimes a few ideas and some knowledge about feeding can be beneficial and help you to gain confidence. Newborn babies need lots of attention, cuddles and love, which means the amount of time you spend as a couple can be dramatically reduced. Finding some time to connect with the important adults in your life will make you develop a team approach to parenting. Newborn babies grow and develop very quickly. Tiny babies are little sponges, absorbing the world around them. Before long they will be tracking you with their eyes, and learning how to smile. ​​​​How does my newborn grow and develop? For a newborn, play mostly consists of plenty of eye contact with their primary carers. As they grow they learn to track movement and identify shapes and colours. Keeping your newborn safe is a priority for all new parents. Being aware of safety regulations and practices makes looking after your newborn baby much easier. Parenting a baby takes time and commitment and is a wonderful and rewarding experience. Ngala is here to help support you throughout this exciting journey. As the weeks pass, your baby will start to develop regular sleep and awake times. Establishing predictable patterns can help babies to develop good sleep habits. Ngala is here to work with you to understand and learn to manage your child's sleep. Feeding your baby will continue to provide you with lots of opportunity for getting to know your baby. They will become more alert and interested in their environment, so may get a little distracted when feeding. During this period you will also be introducing solid food. Settling into your new role as parents takes time. As you adjust to the new pressures and time constraints parenthood places on you, it's important to remain connected with your partner and others around you who can support you. Perhaps a listening ear, a cup of coffee or some practical help that will allow you to rest and spend more time with your growing family. From three months to one year there will be lots of changes. Your baby will be on the move and learning new ways of communicating and exploring the world. Enjoy this exciting time. Your baby loves playing with you. Play in the first 6-12 months can include tummy time, reading, tactile and sensory toys and lots of eye contact. Providing a safe environment for your child helps them grow and explore with confidence. There may be things to consider with the changing weather, from equipment and cars to furniture around your home. Parenting a toddler can be chaotic and exhausting as your little person discovers their feet and learns how to run! This exciting and dynamic time provides excellent learning opportunities as your toddler begins to explore and understand the world around them. The toddler years present new challenges as you start the journey of moving your toddler from their cot into a bed. Sleep routines and settling may need some adjustment and different approaches. The Ngala Parenting Line can give you support. Toddlers start to demonstrate preferences and can be a bit more fussy with their food. Introducing a variety of healthy food choices from a young age will help them to establish life-long healthy eating habits. Toddlers love family time and doing things with their parents. They also are more interested in other children. Being involved with your adult relationships is also an important investment in the teamwork. Both parents and other carers offer different but equally important learning opportunities and help them feel confident in their expanding world. The toddler years are often misunderstood. It is easy to mistake the tantrums and the “no”’ as unwelcome behaviour. Your toddler is learning to manage big emotions and fitting in with others. Your child sometimes has difficulty communicating their feelings, making choices and coping with disappointments. You may need some ideas to guide them through this stage of development. Your toddler learns through play. Play takes many forms and can be incorporated into all aspects of their lives. It is the main way your child learns about their environment, surroundings and the skills they will need later in life. Playing with your child develops their potential for learning and relationships. Toddlers are curious. They are eager to explore their world so keeping them safe takes on a whole new meaning. Talking about safety and modelling safe behaviour is important as they will be watching everything you do. Being aware of simple first aid and safety tips will also help. Parenting a pre-schooler often involves answering hundreds of questions a day as your child's natural curiousity about the world around them makes them want to find out how everything works. Your pre-schooler needs lots of sleep to help them grow. They are busy all day long, and good sleep patterns help them process and develop the information they have absorbed throughout the day. 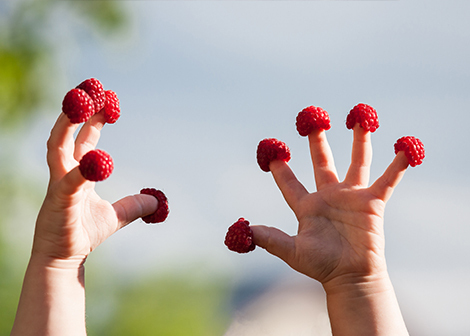 Your pre-schooler will start to have definite food preferences. It's important to ensure they eat a wide range of fruits and vegetables to meet their nutritional needs. Establishing good habits now will help them ease into the transition of school packed lunches. Pre-schoolers will start to play interactively, rather than playing in parallel with their peers, which can result in some interesting behaviours. They will start creating closer relationships with peers, while their familial relationships, particularly with their parent or primary carer will be front of mind. Good manners, respectful behaviour and understanding appropriate social responses are all part of your pre-schoolers learning at this time. As your pre-schooler grows, the way they play changes. They form friendships and start to play collaboratively. Pre-schoolers tend to run around at top speed all the time! Bumps and scrapes are very common at this stage, and having a good understanding of health and safety issues will help you through this time. Your school age child will spend the majority of their day connecting and communicating with their peers and their teachers. Helping them grow their communication skills will ease the transition into school life. Once your child starts school they are exposed to a whole new range of possible illness and sicknesses. This is normal and a part of growing up. Helping them cope with sniffles and colds will build their resilience levels. School often challenges their sense of well-being as they can face the possibility of bullying. Learning how to manage your school aged child's interaction with entertainment and technology will help establish good, lifelong habits. Your school aged child's development can be helped by ongoing support in their home environment. As your child settles into school life their behaviour can change as they are influenced by their friends and the adults around them. Starting school is a big change for your child. For lots of children it is the first time they have spent extended periods away from their parents and carers. Helping them to love learning will establish good habits that will assist them throughout their school life. The pre-teen years can be fraught with difficulty, especially as your child starts to explore independence and a new sense of identity. Communicating with your child regularly, asking them about their day, their feelings and their friends, will help you both keep your relationship strong. Your child's body will be starting to grow and change during the pre-teen period. Remaining open and understanding of these changes will help you both as your child matures. Pre-teens today have access to a wide range of entertainment and technology options. By remaining vigilant about appropriate use of these will help manage your pre-teen as they grow. The pre-teen years are when your child starts to define their identity. Their body grows, changes and develops and they start to seek more independence. Your pre-teen may be a bit more emotional as their body starts to change and you may feel they are starting to act out a little. Remaining calm, being understanding and by showing lots of loving you will both grow together. The upper primary years are important in establishing good study habits for high school. By encouraging your pre-teen to be enthusiastic about school, you will help them settle in to high school more easily. Connecting regularly with your teen and keeping open lines of communication with them will help you both through this period. You may feel they place more importance on their friendships than their family, but this is just part of them growing up and defining their identity. Good health and mental wellbeing in the teenage years are very important. By keeping your child healthy through good nutrition and a supportive home environment will make these years rewarding. Managing your teenagers' interaction with technology and entertainment can be challenging, especially when they are out of the house for extended periods, with a phone in their hands. By setting and keeping ground rules, and following through with consequences, you can smooth the bumps out of these years. Teenagers go though massive changes, both physically and emotionally, so the more support you can provide over this period, the stronger your relationship will be. Teenagers face many challenges. As they mature their whole world starts to shift, which can result in challenging behaviours. Try to keep this in perspective and remember, they will grow out of it. The school environment can be particularly challenging for teenagers. Peer pressure, bullying and social media can combine to make school difficult. By communicating regularly with your teenager and encouraging them to apply themselves in school, you will help them navigate the high school years more easily. Sometimes breastfeeding can be challenging. These challenges can change as your baby grows and develops. At three to four months of age, babies become more aware of their environment. They are experiencing rapid changes. Their growth spurts may cause them to wake more often which may be frustrating for parents. Try to decide whether they are waking to feed or if they are just using you for reassurance and comfort. Babies at this age need a regular place to settle. They should preferably settle in a darkened quiet room. Try to ensure they have full feeds during the day and avoid snack feeding. This may help cut down the number of times they wake up and need feeding during the night. When babies are older than six months, they are easily distracted by noise and activity. If you need to breastfeed your baby, give some thought to where you are. Sometimes distraction can be confused for a lack of interest in the breast. Most babies benefit from quiet and a routine such as regular morning and nightly feeds. During breastfeeding if the baby is biting the breast, try to avoid overreacting and raising your voice. It is normal for the baby to experiment and they also may be teething. Watch for biting signs and remove baby from the breast. If the biting is a response to a slow let down, expressing a small amount of breastmilk to trigger your let down before you offer the breast may help. Babies may refuse the breast due to discomfort from an ear infection, head cold or teething. There may also be other reasons, such as overtiredness or distraction. Breast refusal can also occur when there is a change in the milk as result of hormonal changes or medications. 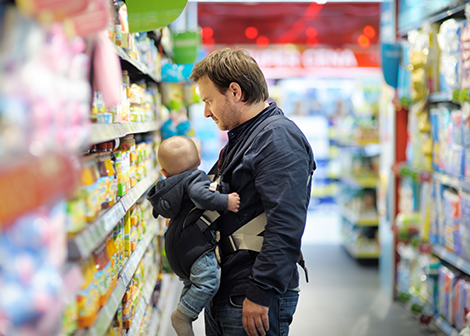 The number of feeds your baby needs changes as they grow older. There is a big difference between a four month old who refuses one or two feeds in eight, and a baby of the same age who refuses four out of five feeds. Be as patient and calm as you can, and try to distract your baby by doing something completely different. Try as much skin-to-skin contact as possible in a relaxed environment. 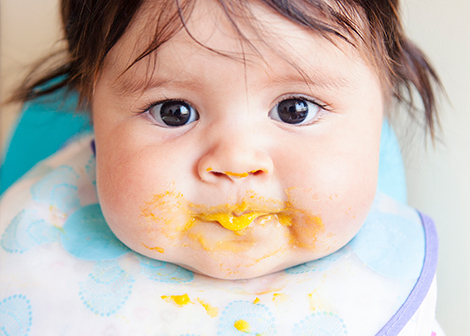 Feeding your baby while you are both in the bath may help. Try breastfeeding baby after a bath when they are warm and relaxed. Anticipate your baby’s waking time and lift their to feed while still sleepy – you may slip in extra night feeds this way. Try to soothe baby with a dummy. Feed in a rocking chair. Express some milk into your baby’s open mouth before the feed. Try massage or singing to your baby, or soothing background music. Some mothers notice that their babies seem fussy a few days before their period starts and for the first couple of days of the cycle. Your baby will adjust to these changes. It is possible to continue breastfeeding if you fall pregnant. Sometimes your baby will decide they have had enough. This can make you feel disappointed, sad or even rejected, especially if you were looking forward to many more months of leisurely feeding.